The MIFARE Classic 1K with 1 Kbytes EEPROM read/write memory and is compatible with existing MIFARE infrastructures. Operating in accordance with ISO 14443A, MIFARE 1K functions at a distance of up to 10 cm with true anti-collision properties and without the need for a battery. The MIFARE classic family is the pioneer and front runner in contact-less smart card ICs operating in the 13.56 MHz frequency range with read/write capability. Mifare 1k PVC White Card with Magtripe. The card thickness is 0.84mm. 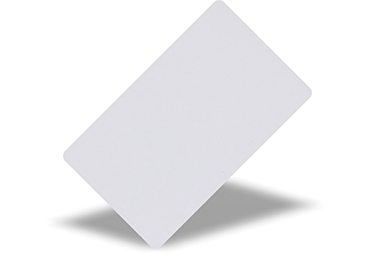 Mifare 1k Clamshell White Cards. The card thickness is 1.8mm.